Jurgen Klopp spoke to reporters at his pre-match press conference ahead of Liverpool’s visit of Turf Moor to face Burnley on Wednesday night. The Reds are amidst their busiest period of the calendar and after beating local rivals Everton on Sunday, Klopp’s side are back in action in midweek. They will be hoping to keep up pace with Pep Guardiola’s Manchester City, who remain two points ahead at the top of the Premier League table. Speaking at his press conference, Klopp insisted that the Reds must forget about the victory against Marco Silva’s side and remain focused on Wednesday’s clash. “It was brilliant in the dressing room after the game (on Sunday) but can you carry it for two or three days? The whole season is still there, we feel in a good moment,” said Klopp. “We have to be ready, there’s nothing negative in winning late against Everton. I should not be concerned that we struggle to realise that Burnley starts again at 0-0 and we have to fight another 95 minutes. Klopp insisted that his players know the challenge Burnley will present and they must be recover and be ready for a ‘tough’ game. Klopp also gave an update on his squad, admitting that he was unsure whether Sadio Mane (foot) or Andy Robertson (dead leg) will be fit in time for the clash against the Clarets. 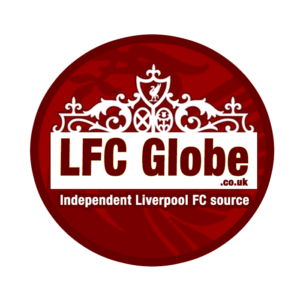 Burnley vs Liverpool kicks off at 7.45pm on Wednesday night and you can keep up with all the drama via LFC Globe’s live match-day coverage.